Tom Waddington joined Substructure in April 2009, bringing his expertise in geophysical survey operations and marine environmental monitoring. Tom is Substructure's primary technical lead for geophysical and hydrographic surveys. Tom is utilizing his extensive experience in marine assessment and seafloor characterization to help guide Substructure’s use of custom-designed, state-of-the-art hydrographic survey vessel, Orion. Tom Waddington will serve as the primary technical lead for Task Orders that are focused on geophysical and hydrographic survey-related tasks. Mr. Waddington has over 25 years of experience managing and conducting a wide range of marine survey operations. He has served as the Chief Hydrographer for Substructure since April 2009 and has planned, conducted, and managed all of Substructure’s hydrographic survey projects during that time. Prior to joining Substructure, Mr. Waddington served as a program manager at SAIC where he managed a wide range of environmental marine monitoring and hydrographic survey projects. During his last two years at SAIC he served as Lead Hydrographer on hydrographic survey projects off the mid-Atlantic coast and the Louisiana Gulf Coast in direct support of NOAA nautical charting and debris mapping programs. Prior to joining SAIC in 2000, Mr. Waddington served for over six years as Chief of the Survey Section for the USACE Baltimore District and for eight years as a NOAA Commissioned Officer. 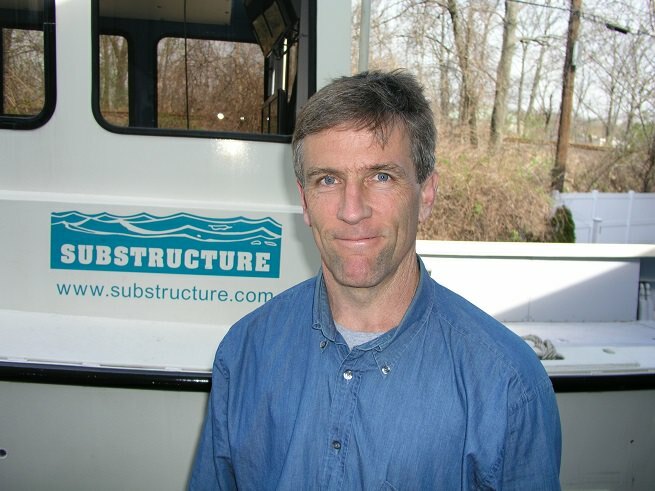 Throughout his career, Mr. Waddington has conducted a wide range of marine-related survey and monitoring operations throughout the U.S. coastal and inland waters, and he has worked with a variety of processing, CADD, and GIS tools to effectively present and manage marine-related survey data. He graduated from Virginia Polytechnic Institute with a bachelor’s degree in industrial engineering and operations research and a master’s degree in engineering administration.